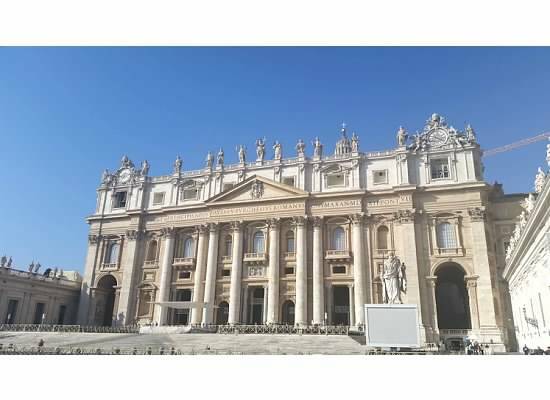 Nothing says Italy more than the Vatican! At the end of October I went on a 7 day tour of Italy where I visited Rome, Assisi, Venice, and Florence with a quick stopover in Belgium. My dream was to visit Italy on my 40th birthday (in 3 years), but my job offered and so I went. Happy early 40th birthday to me! In case anyone missed it from my previous posts, I work for a travel company and free (or next to free) familiarization trips are a great perk with the job. Highlights of the trip included a visit to a glass-making factory in Murano, a visit to the Acqua Alta bookstore in Venice, and taking in some local jazz in Rome at Alexanderplatz. See the original statue of David. Check. Ride in a Gondola – for everyone else in my group. Check. You get the point. A guided tour is great if you have limited time and you want structure in order to see the “must see” things in a short amount of time, but the early wake up calls, limited time in the galleries or sites, and traveling with people you quite frankly may or may not like put a damper on my experience. I came back extremely tired and it took me weeks to get fully rested. When possible, I ditched the tour and ventured out on my own as there was some free time built into the tour. While on the trip, I felt myself turning into an old crotchety woman. Nothing impressed. I lied and told everyone it was amazing. Why wouldn’t I find Italy amazing? I would say it’s the same reason I’ve been underwhelmed by my past few European vacations. I’ve already seen it before or what I saw just really wasn’t all that interesting. I’m not Catholic and I didn’t find all the churches named after Saints or Pope’s interesting after viewing the 10th church. I couldn’t keep the various saints in order to really appreciate why they were important to begin with. The inside of the Vatican just really read as “narcissistic opulence”. As the days passed, I couldn’t tolerate looking at another temple with columns, naked marble statues, or al fresco paintings. 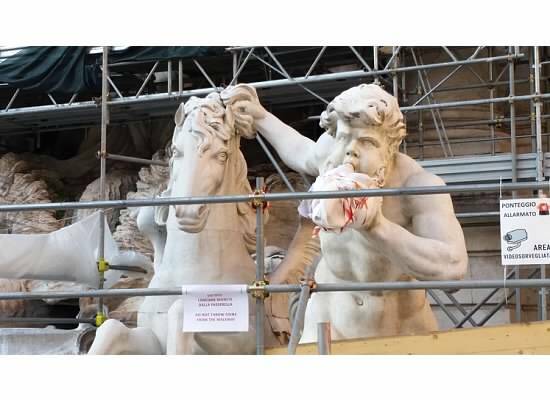 To add insult to my dreams, I found some of the main attractions under construction like the Trevi Fountain and the church in St. Marks Square. 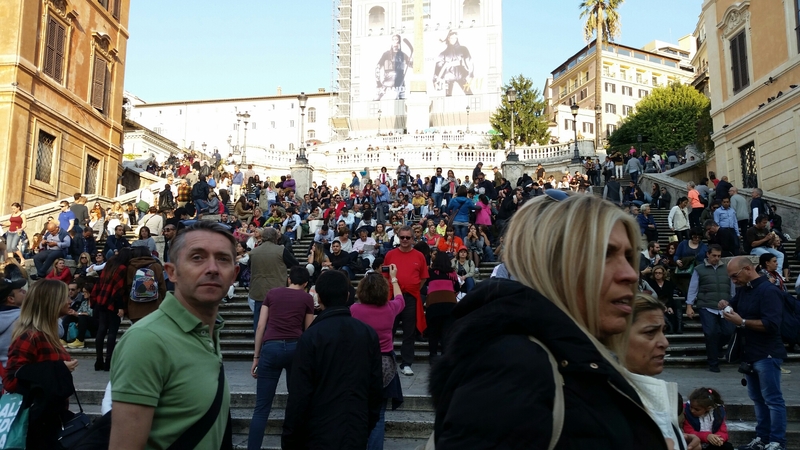 Additionally the pretty pictures I saw of the Spanish Steps on travel websites and Pinterest were staged. The steps weren’t filled with pretty flowers but hundreds of tourists just sitting around with a big H &M advertisement in the background – history meets modernity at its finest. A friend said that my issues with Italy were “first world problems”. I don’t like to use this phrase, but in the grand scheme of things, she is correct. My problem: I didn’t like my almost free vacation. My husband often reminds me that I am very fortunate to have the opportunity to travel and visit new places. I met a waitress in Philadelphia recently who has never stepped foot in New York City (a mere two-hour drive from Philadelphia). Elsewhere, there are people who are not able to move freely, but my American passport has allowed me to traverse this planet quite freely. Before I close this blog, I have to defend my lack of enthusiasm for my most recent travel experiences. It all boils down to globalization – the taboo or dirty word in cultural studies. Globalization is responsible for Kentucky Fried Chicken across from the DjeMaa El Fna in Marrakech, Starbucks in Athens, and Hip Hop spreading in places other than America. What globalization does is transfer things to places they weren’t before in part due to technology (this is a simplified definition of course). Before the internet, the Pyramids in Egypt were something you read about in history books and perhaps a movie scene was shot in its vicinity. Now, people are able to snap pictures from any angle. Television broadcasts in HD so that when we watch it, we feel as if we have been exported to that very place. I already went to the Vatican without ever stepping foot in Italy. So, if I have seen everything with my own eyes,either in person, the telly, or in photos, then why travel? Traveling is about the experience. Some of the best times I have had traveling include a unique experience that I would not do at home or have the opportunity to experience again. Traveling to Montreux, Switzerland was amazing because I experienced the Montreux Jazz festival up close and personal with the Alps in the backdrop. Going to Morocco was amazing because I had the opportunity to immerse myself in a culture very different than my own – haggling cab prices in Arabic, shop in open air souks, eat food cooked in tagines, and pee in a hole in a ground (yes – that is a memorable experience)! So, I challenge everyone out there (including myself) to not just go on a trip/vacation, but to really think about the experience and what you will take away from the trip. In hindsight, I think my problem wasn’t really with the country of Italy or the tour, but the fact that I didn’t really experience anything wholly unique. Next time, I’ll make more of an effort and I can return saying I had an amazing experience.